Create an organization that represents Tennessee’s robust assets and companies engaged in the advanced energy economy. Using the sector’s collective voice, brand advanced energy as an economic development and job creation strategy, highlighting Tennessee’s leadership role in the $1.4 trillion global advanced energy industry. Piper Communications convened groups of business executives, researchers, economic developers and investors to determine if there was value to the advanced energy industry in creating an organization that looked at advanced energy as an economic development strategy first and foremost. After multiple years of focus groups, Cortney Piper co-founded the Tennessee Advanced Energy Business Council (TAEBC) and Piper Communications provided turnkey organization management to launch the business council. Working with the TAEBC board of directors, stakeholders and members, Piper utilizes industry expertise to create and execute mission-driven programming and communication strategy that champions advanced energy as an economic development and job creation strategy. TAEBC has grown over two years to include more than 35 members, representing a broad selection of advanced energy sectors and interests including local, regional, national and global industries. TAEBC has become a leading voice for Tennessee’s advanced energy economy. Piper coordinates branding, a website, blog, enews, and social media promotion as well as events and opportunities for networking, discussion and education to foster the growth of Tennessee advanced energy companies, jobs and technologies. Click here for the 2015 year in review! The first ever Tennessee Advanced Energy Economic Impact Report was released in 2015. This is the first document of its kind that defines the scope and scale of the state’s advanced energy sector and quantifies its economic impact. The report received statewide media coverage and recognition of advanced energy as an economic driver for Tennessee and a source of high quality jobs. TAEBC is a nationally recognized industry voice. 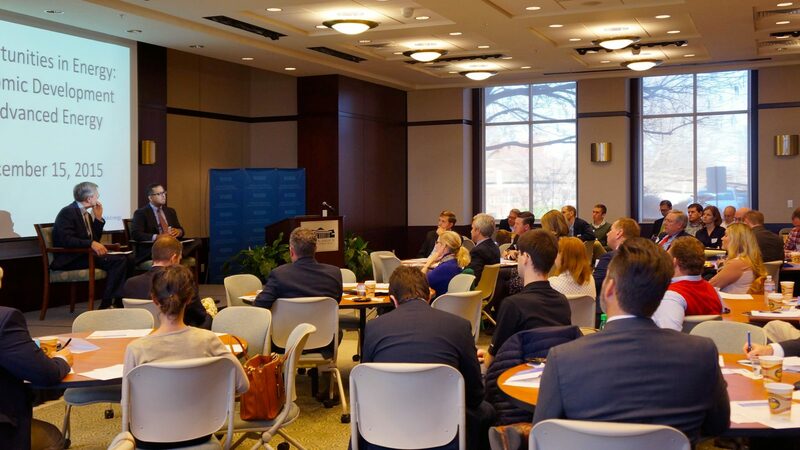 The business council regularly hosts U.S. Department of Energy officials including Assistant Secretary David Danielson, Assistant Secretary of Transportation Reuben Sarkar and Chief of Staff Kevin Knobloch. TAEBC was invited to a White House Forum on Connecting Regional Innovation Ecosystems to Federal and National Labs, attended by TAEBC President Tom Ballard. TAEBC’s influence extends into social media channels. Piper Communications manages TAEBC’s digital and social media presence including: tnadvancedenergy.com, the energized blog, Twitter, LinkedIn, Flickr and YouTube accounts.